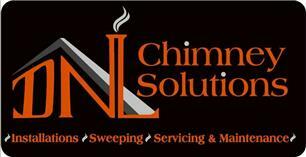 DNL Chimney Solutions - Chimney Sweep, Fireplaces/Stoves based in Ringmer, East Sussex. Invoice history based on 453 reviews. I have 24 years professional experience in the building and chimney industry. With a City and Guilds in all aspects of Brickwork, I am able to combine my building skills with my knowledge and passion for chimneys, offering a complete and comprehensive chimney solutions service. I pride myself with the ability to listen to and understand the needs and requirements of all my clients. Offering my expertise and advice to achieve the desired goal, with a close and honest eye on competitive affordability. Every aspect of my work is carried out and completed to a very high standard, with cleanliness as a high priority. I am H.E.T.A.S approved, fully insured, and provide full certification to validate home insurance and to comply with current building regulations. With a proven track record of high quality and professional workmanship at competitive prices, call me now for a friendly, informal chat to solve your Chimney needs. For all enquiries please call the land line number and leave your details.